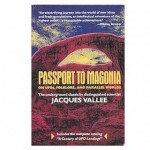 Jacques Vallee shook the very foundations of ufology when this masterpiece was published by claiming that nuts-and- bolts crafts and alien visitations having a striking similarity with demonic visitations, fairy tales, elvish mythology and that UFO technology seems to precede ours. 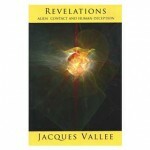 In this third volume, Dr. Jacques Vallee presents the astonishing evidence that hoaxes and media manipulations are confusing researchers and trying to divert them from the phenomena itself. 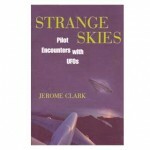 Jerome Clark, a major ufologist and former vice president of CUFOS (J. Allen Hynek Center for UFO Studies), compiled fifty of the most compelling documented pilot encounters. This UFO book contains unpublished reports about one of the most controversial subjects in the field: the visitors behind the UFO mystery. 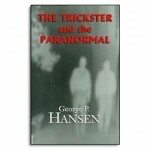 Although George Hansen is not an ufologist, he did tremendously important scientific research in the paranormal. 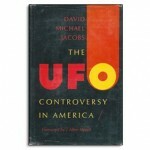 He believes that UFO’s are physically real and are related to deception and irrationality. His book explains why the paranormal phenomena is surrounded with hoaxes and disinformation and cannot be separated from one another. This UFO book is the dissertation of David Jacobs (PhD) about the controversy in science about UFO’s from the mystery airships from 1800 until 1973. It discusses the Robertson Panel and its effect on Air Force UFO Policy; the rise of NICAP; the struggle for Congressional Hearings and the Condon Committee and its aftermath. 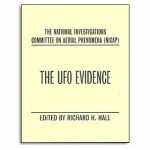 This reprinted book from Richard Hall contains unbiased, scientific hard-data and statistics on the most important cases between 1940 and 1960 gathered by NICAP. 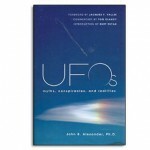 John B. Alexander founded during the 80’s an internal agency within the US military to explore the UFO topic. This contradicts the conclusion of Blue Book which stated “ there was nothing anomalous about UFOs”. Why would you re-open the files? 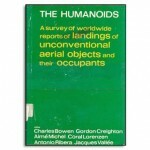 The findings of the author was that “UFO’s are not what they expected”. He wanted to understand and anticipate the workings of the phenomena.